After the first exciting day in Scotland I really needed to sleep well! On day two in ‘my heaven’ I woke up really early to make the most of the day. I jumped in the car before sunrise and headed over to the next gem. 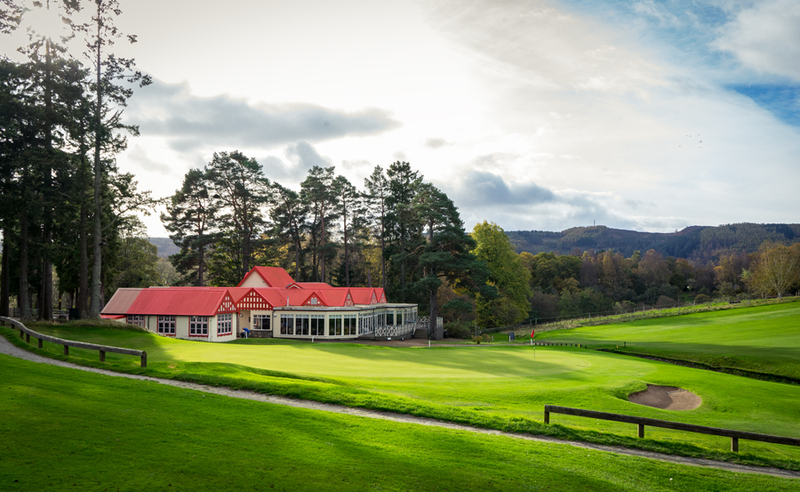 After a short but very picturesque drive through the Highlands of Perthshire I arrived at Pitlochry Golf Club. 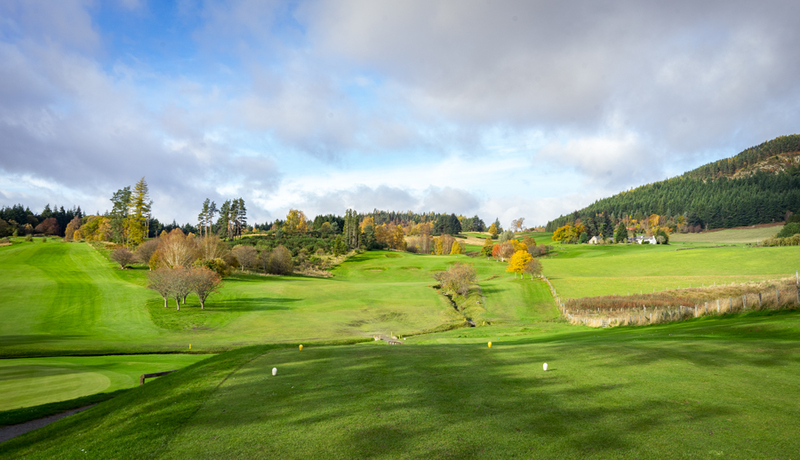 Like Crieff, Pitlochry can be classed as one of the truest and finest representations of inland golf in Scotland. 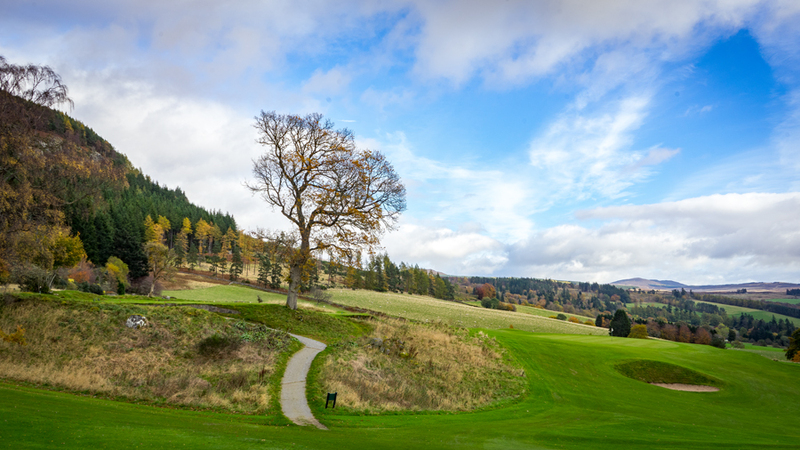 I wandered around the course a little to get some first impressions and, wow, what a place! 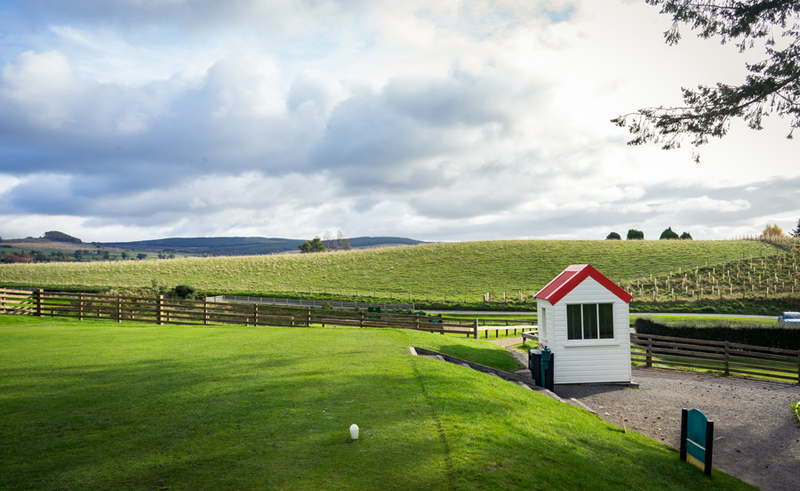 Set in the gateway of the Highlands, the design and the layout offers an unbelievable experience. 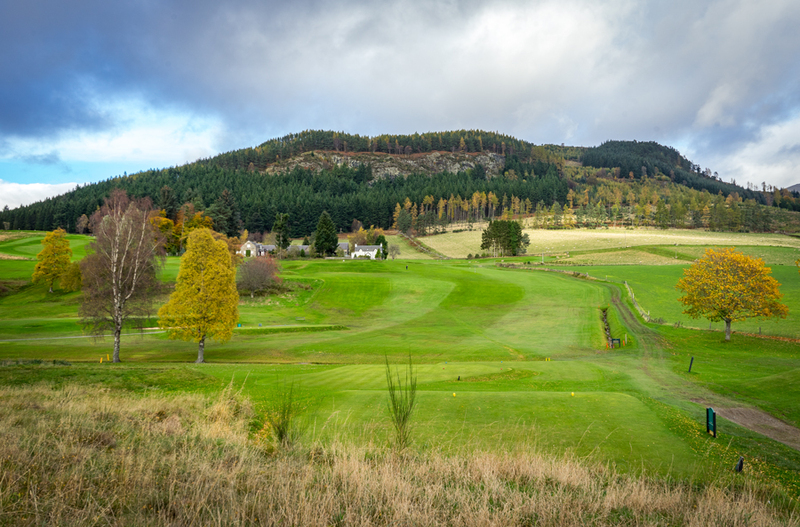 Pitlochry is a real tester. To master the course, you will need all your skill, but not necessarily your power. 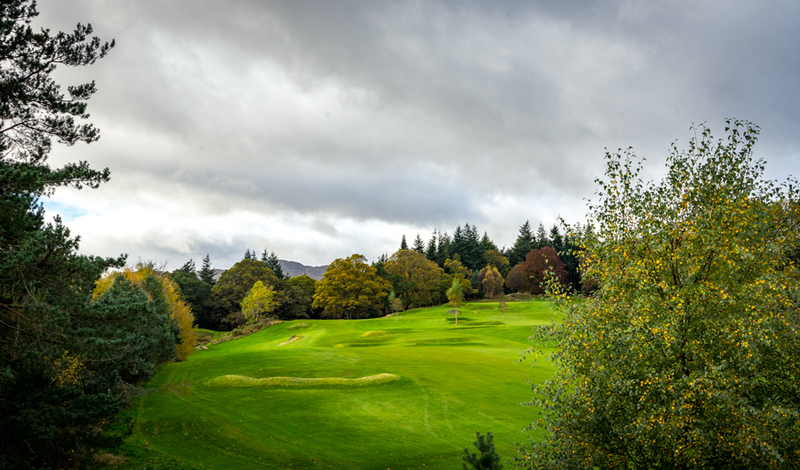 With its stunning and awe-inspiring views and undulating greens, the 5700-yard course boasts manicured greens and tree-lined fairways with a majestic mountainous backdrop. 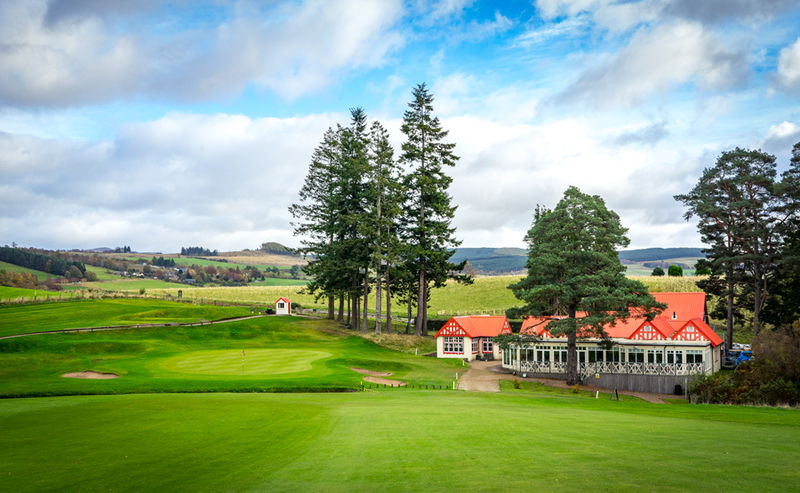 The clubhouse is pretty special too. After I had finished playing I took time to reflect. Perhaps I had found one of my favourite places? 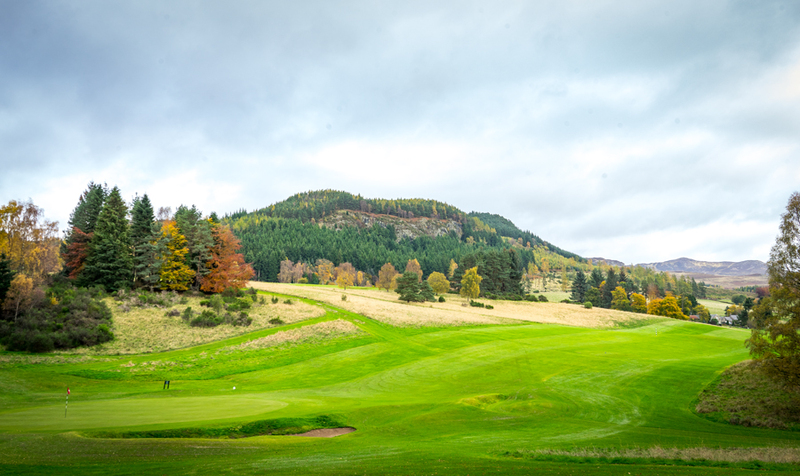 It was divine to combine the beauty of the mountains, the healthy walk and the challenge of the golf course. 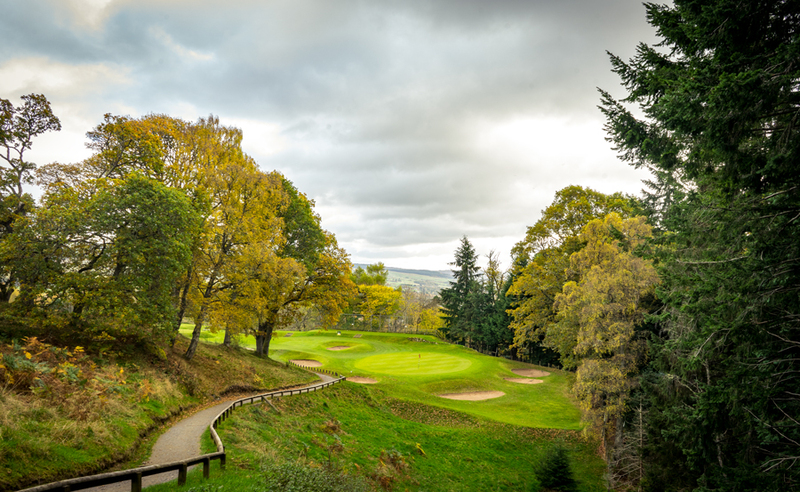 Named “Queen Mary`s rest“, hole number 5 was one of my favourites. The description in the strokesaver is perfectly accurate. 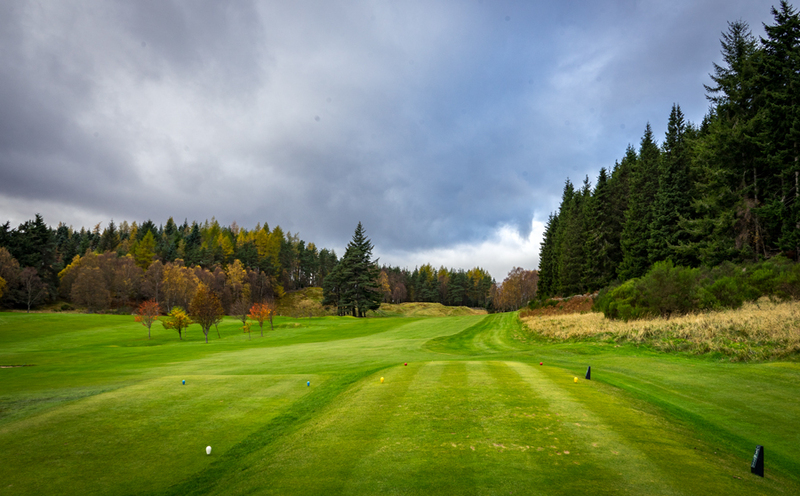 “Although a generous fairway the out of bounds wall on the right adds interest to the tee shot. 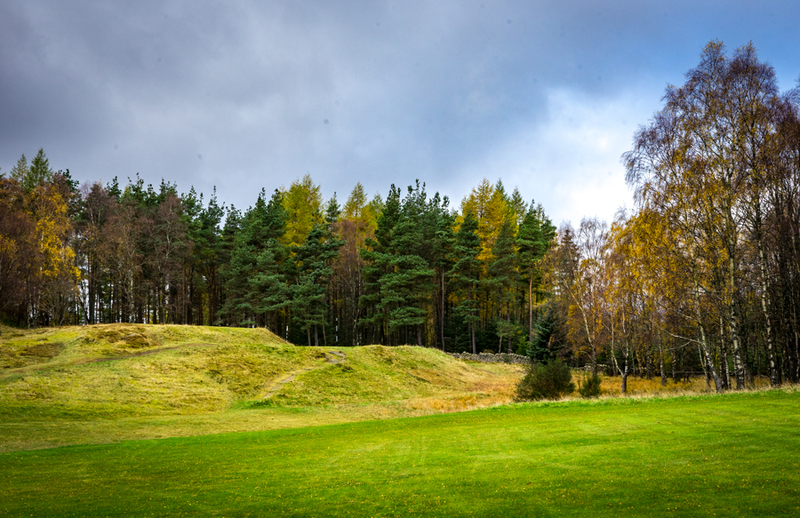 Positioning of the tee shot is essential to afford the best shot onto this large raised green which is protected at the front by a large rocky mound. 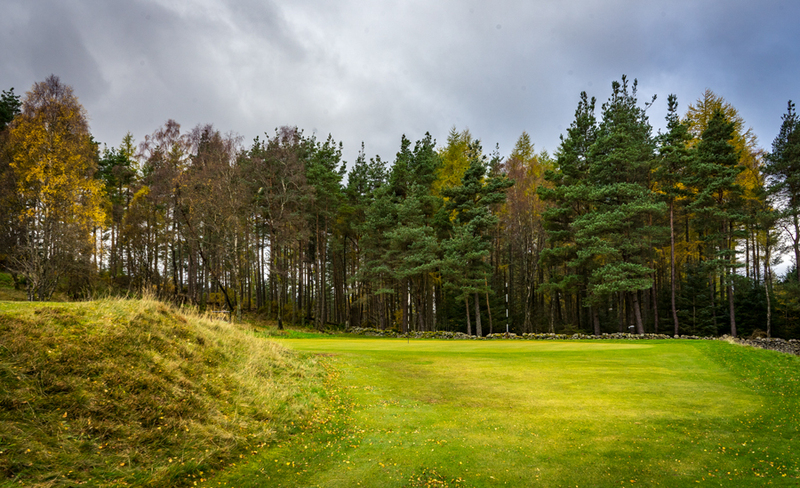 Played into the prevailing wind this is a challenging Par 4. I got a par!!! 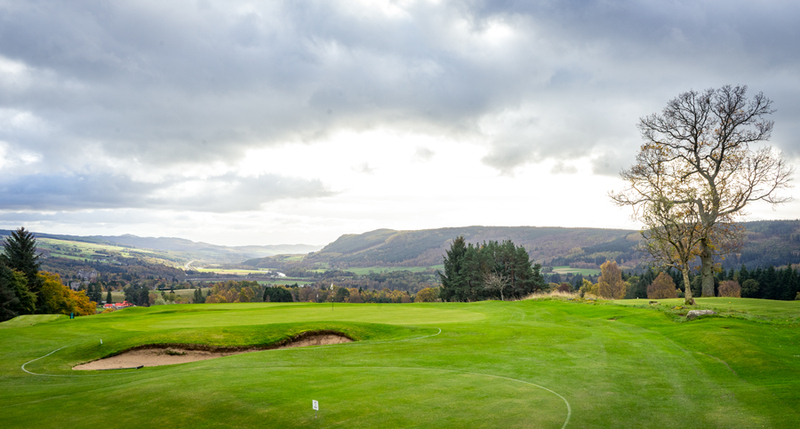 Hole 6 is the highest point of the course and from here you have a tremendous view over the whole Tummel Valley. 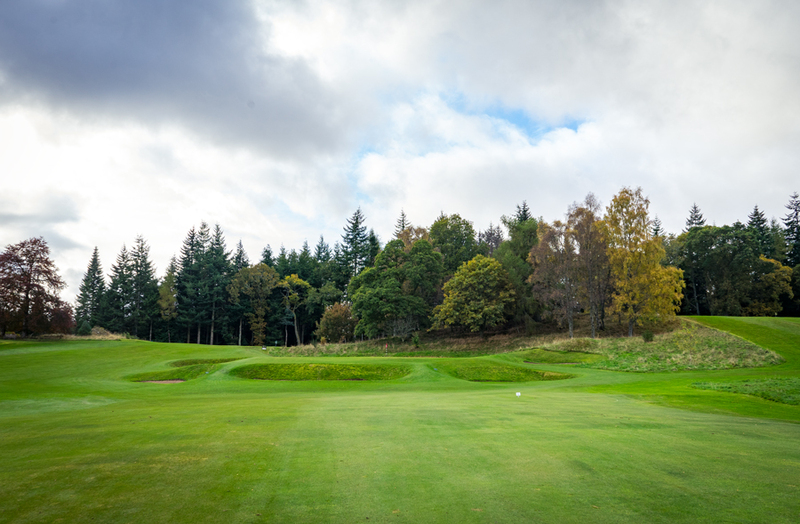 As you might expect, from then on all of your tee shots are downwards and great fun. 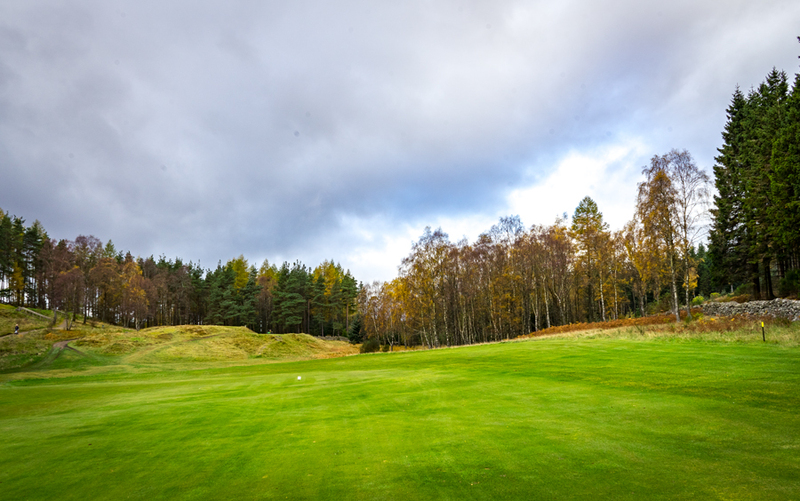 If you are straight you can really create some awesome shots, but the driver is not necessary on every hole as accuracy is better than distance. 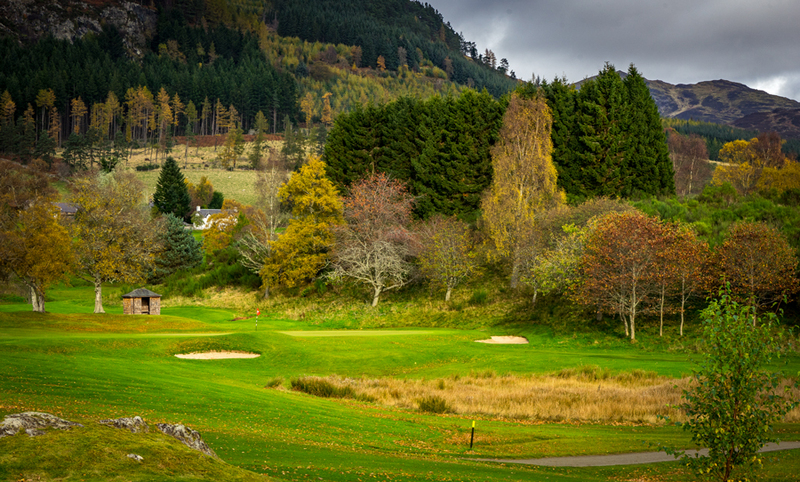 Honestly, from hole 13 to 18, Pitlochry is golf heaven. Every hole is special and beautiful in its own right. But, they saved the best until last. 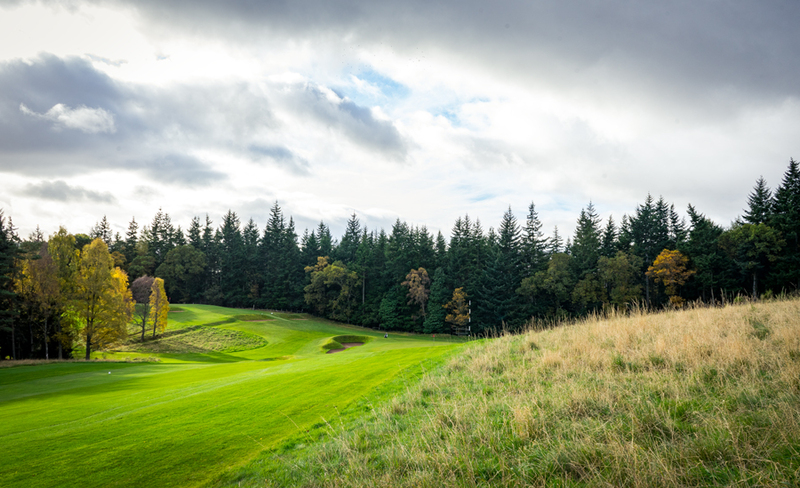 I have absolutely fallen in love with hole 18, a short downhill par 4 with just 328 yards from the white tees. 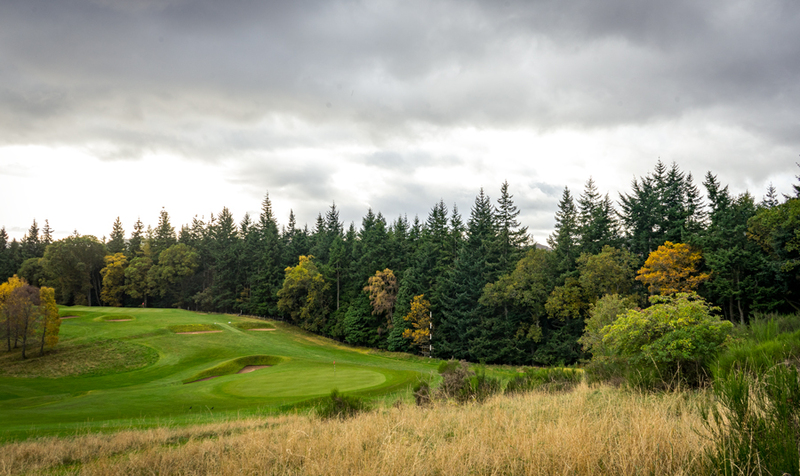 There are various options to play this hole, but, you HAVE to get out the big stick for the last tee shot. I split the fairway (honestly) and my ball stopped just 10 yards in front of the little creek which protects the green, alongside three bunkers designed to catch the balls from the crazy long hitters. 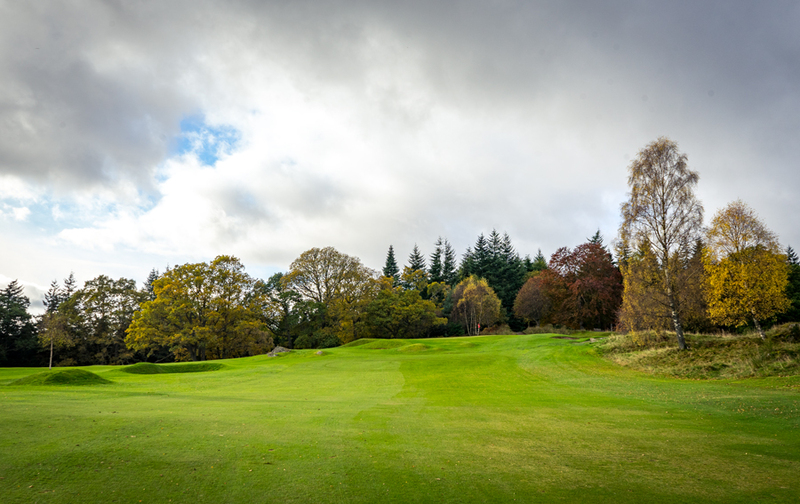 I made a superb pitch and had a great birdie opportunity, which I made. 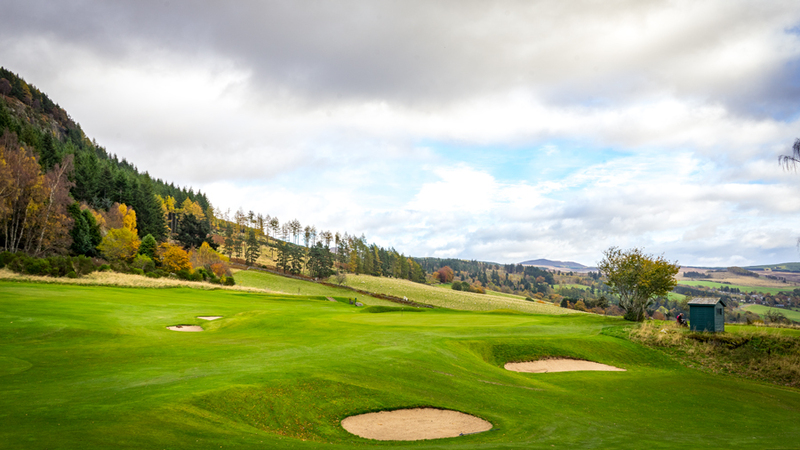 A great finishing hole in front of the clubhouse. 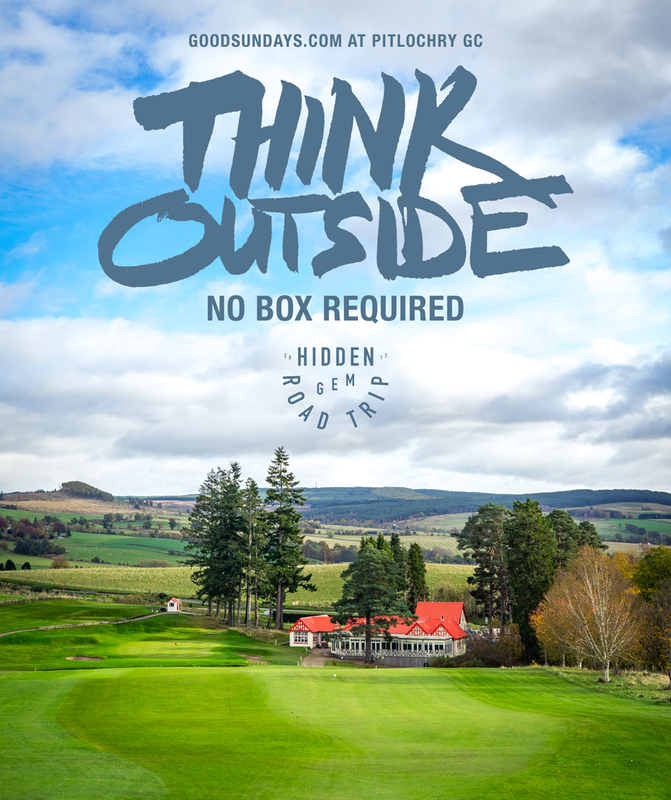 After the round, Cargill’s Clubhouse offers the perfect place to relax. A local beer and a traditional pie suited me well. What more can I say. 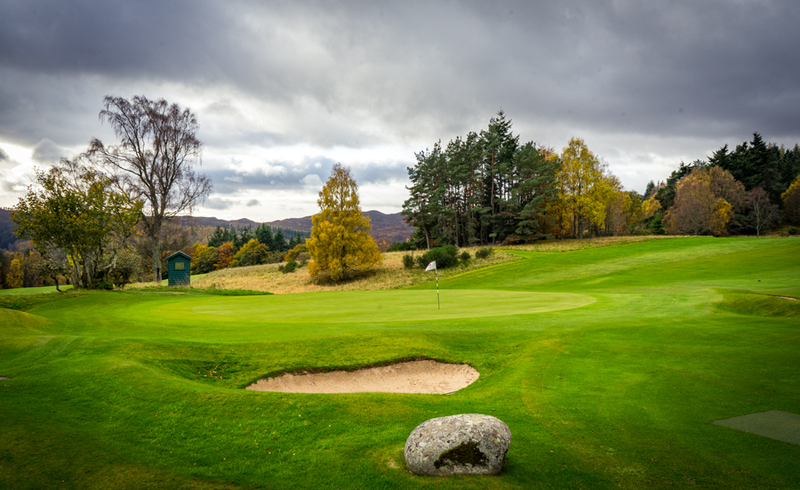 Pitlochry Golf Club is highly recommended and worth a visit. It has to be on your list….